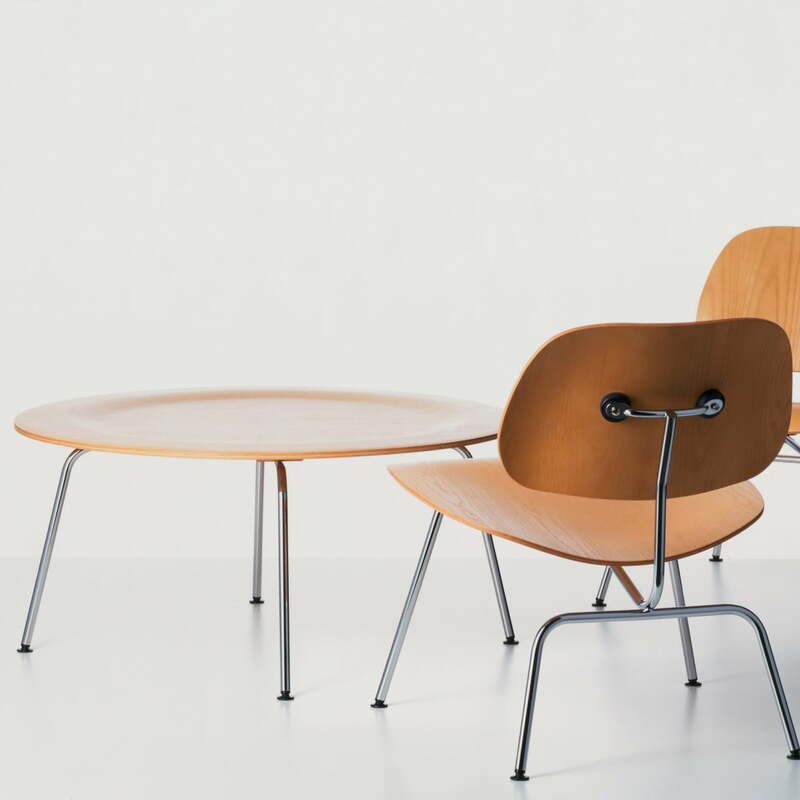 The CTM Table is part of the Plywood Group, which the designer couple Charles and Ray Eames designed for Vitra in the 1940s. CTM stands for ‘Coffee Table Metal’ and is easily combined with the other Plywood Group products and also blending in nicely with any other desired ensemble thanks to its discreet design. 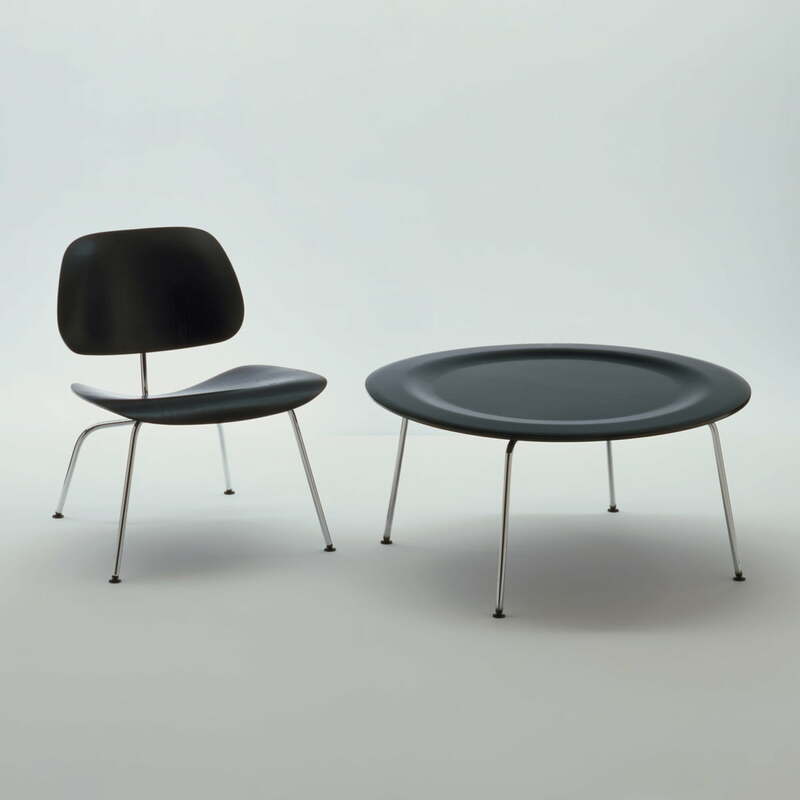 Charles and Ray Eames experimented with various shapes for a round coffee table in 1946. 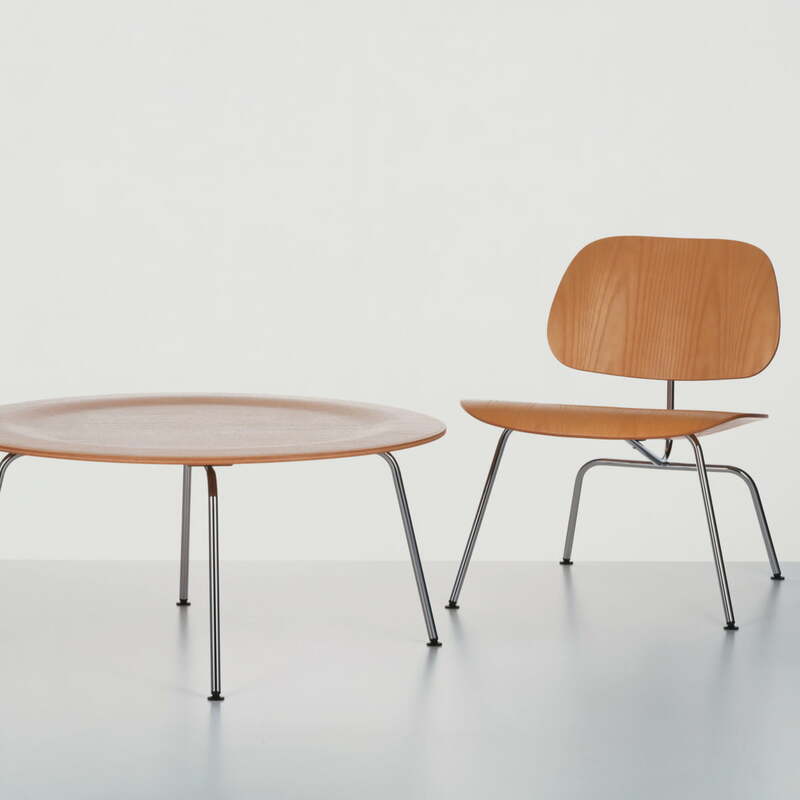 This work eventually led the couple to the ‘round coffee table with metal legs’, i.e. today’s CTM. 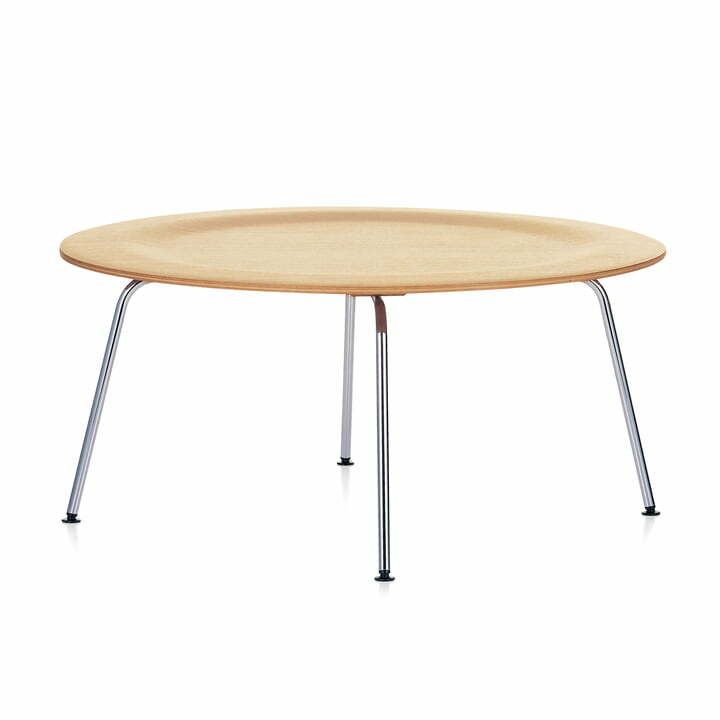 CTM is a simple side table with a round plywood tabletop that’s slightly raised on the edges and has four thin legs made of steel tube. 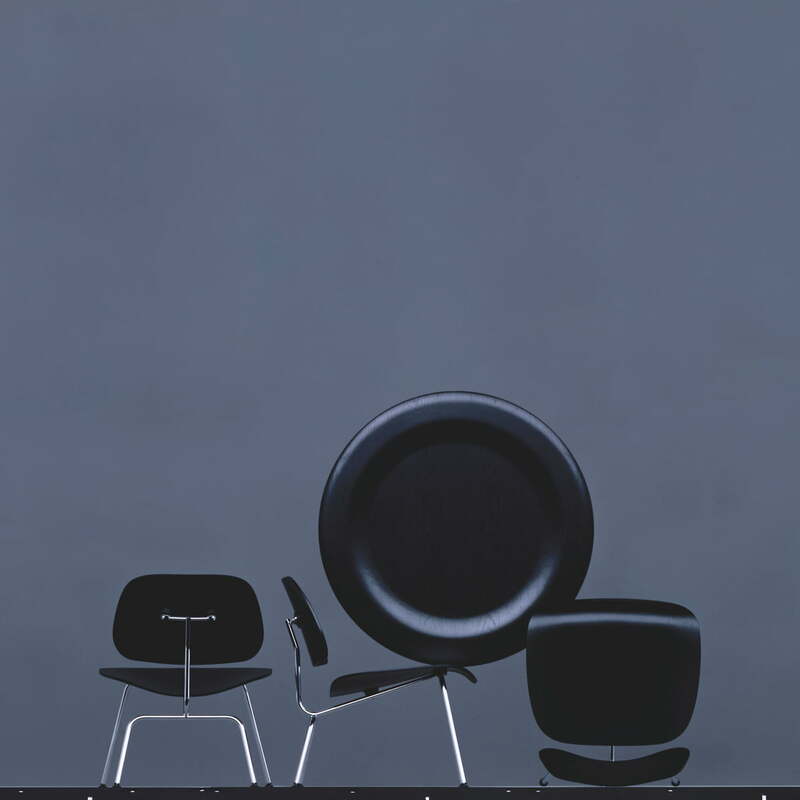 For Vitra, working with the legendary designer couple Charles and Ray Eames was of fundamental importance: with the production of their designs in 1957, the history of the company as a furniture manufacturer began.Though Charles and Ray Eames didn’t leave a mark on Vitra with their products alone.Rather, with their understanding of design, they determined the values and direction of the company decisively and that remains today.